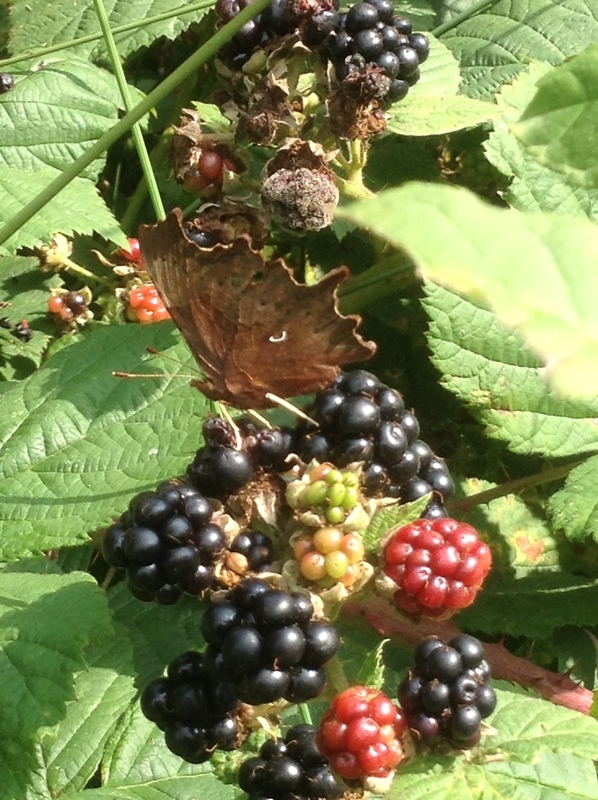 Autumnwatch #4: The Comma: Is it a leaf? Is it a form of punctuation? No, it’s a Butterfly! 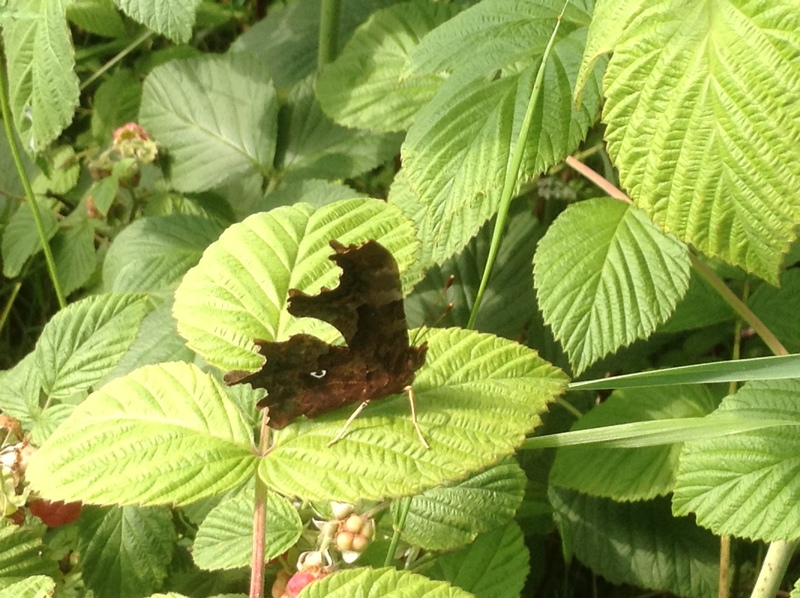 Another butterfly that you might catch flying on these sunny Autumn days is the Comma (Polygonia c-album). A member of Nymphalidae, it is drawn to late autumn flowers and fallen fruit. It’s a very interesting species for a number of reasons. Firstly, look at that camouflage! 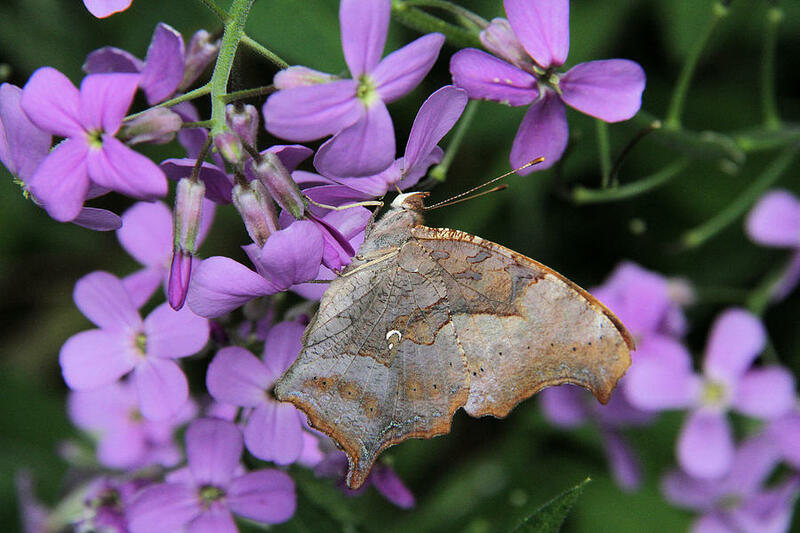 The whole wing shape of the Comma has evolved to look like the shape of a dead leaf; when it closes its wings, all you see are the crinkled brown undersides, a perfect illusion. Even the attractive uppersides are an aesthetically seasonal mix of orange and brown. And spot the question mark on its North American friend.. The Comma is now quite a frequent sight across Britain, but once the situation was very different. At the turn of the century, numbers started a massive decline; by the 1920s there were only a few colonies left in Hereford and Worcestershire. Happily, things suddenly and inexplicably improved, and this species is one of the few butterfly success stories of recent years.